SpectreVision, the boutique genre division of Company X, and ACE Pictures announced today that principal photography will begin next month on Color Out of Space. Starring Nicolas Cage, the film will be directed by Richard Stanley, his first feature in over twenty years. Based on the novella by H.P. Lovecraft, Color Out of Space will reunite Nicolas Cage with SpectreVision, the company behind the critically acclaimed and commercially successful 2018 film Mandy. The film will also star Joely Richardson (Nip/Tuck, Red Sparrow), Tommy Chong (Up in Smoke), Elliot Knight (DC's Titans), Julian Hilliard (The Haunting of Hill House) and Q'Orianka Kilcher (The Alienist, Dora the Explorer). Color Out of Space will be produced by SpectreVision's Daniel Noah, Josh C. Waller, Lisa Whalen and Elijah Wood. Timur Bekbosunov, Johnny Chang, Emma Lee and Peter Wong will executive produce for ACE Pictures. Stacy Jorgensen will executive produce for SpectreVision. South African filmmaker Richard Stanley started career with back-to-back cult classics, Hardware and Dust Devil, before being released from the notoriously controversial 1996 production of The Island of Dr. Moreau with Marlon Brando and Val Kilmer, an event chronicled in the 2014 documentary Lost SOuls: The Doomed Journey of Richard Stanley's Island of Dr. Moreau. In the years since, Stanley has become a major cult figure whose return to feature filmmaking has been anticipated by legions of fans. Color Out of Space is a story of cosmic terror about The Gardners, a family who moves to a remote farmstead in rural New England to escape the hustle of the 21st century. They are busy adapting to their new life when a meteorite crashes into their front yard. The mysterious aerolite seems to melt into the earth, infecting both the land and the properties of space-time with a strange, otherworldly color. To their horror, the Gardner family discover that this alien force is gradually mutating every life form that it touches...including them. SpectreVision partner Daniel Noah commented. "Lovecraft is the dark father of modern horror, and we have been searching for an adaptation that captures the true scope of his cosmic dread for years. Richard Stanley - a wizard in his own right - will at long last bring Lovecraft's humbling power to the screen unfiltered." Johnny Chang, CEO of Ace Pictures Entertainment, added. "ACE Pictures Entertainment is thrilled to finance and co-produce COLOR OUT OF SPACE, our second collaboration with SpectreVision. 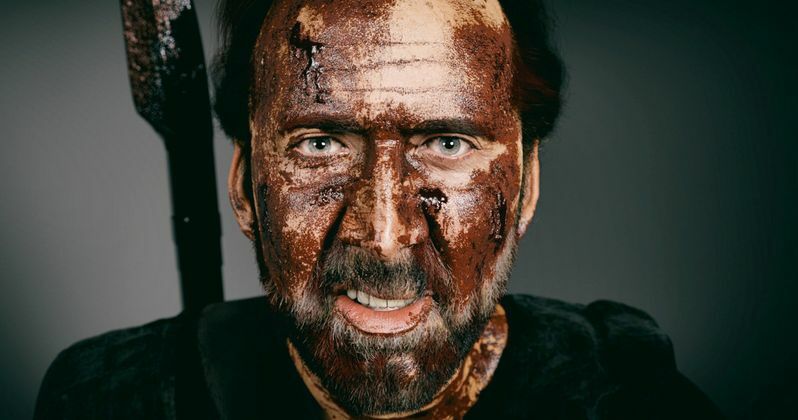 The adaptation by Richard Stanley is outstanding and unique, a perfect canvas for Nicolas Cage's inimitable acting style. We are tremendously excited to continue our partnership with SpectreVision and their signature style of genre."